90% of the Australian population is supported by a robust three phase power network, whereby if people need power, they get it. However, this is not the case for much of rural Australia, where serious power distribution issues affect existing industry and projected economic development. Expanding the existing three phase power network to cover rural Australia is an expensive process, often prohibitively so if the cost must be covered entirely by individual consumers in these remote locations. It is for this reason that Phase Changer has taken the time to explore different strategies that will more fully utilise the infrastructure already in place. Much of rural Australia is supported by a single wire earth return (SWER) system to deliver 240V single phase power, or by the two-phase 480V variation, which is really only two regular 240V circuits coupled together. All Australian states use this type of technology to some degree, Queensland alone, for example, has some 63,000km of SWER lines servicing more than 26,000 customers in this way. These single wire networks are much cheaper than three phase networks to implement and can span long distances, however they have certain limitations. electric roller doors and gates. The absence of three phase power in much of the rural sector has placed serious limitations on the sorts of value adding activities that may be carried out. Often farms with a reliable single phase supply will use diesel powered generators just to supply to their three phase equipment. This causes large operating costs for rural enterprises that competing businesses operating near cities with three phase power infrastructure do not face. With customers increasing their demand for power, governments are having to regulate individual power use to avoid pushing the infrastructure to the point where adjacent properties are affected by their neighbours usage. As a result, power customers are often asking how they can get the most from the energy available from their existing supply. There are two broad approaches to this problem, load reduction techniques and load balancing techniques. Load reduction techniques refers to making the customer loads more efficient in order to reduce the actual power demand. Despite common assumption that domestic appliances create a large impact on power supply, the largest impact on rural infrastructure comes from equipment with heating elements and large single phase motors. Common culprits are electric fan heaters, hot water services and irrigation pumps. With a single phase to three phase power converter unit from Phase Changer, 415V of three phase power is created from a 240V single phase power source. When these are used to drive three phase motor loads, they can halve the instant surge currents of medium and large motors. This will help to make customer loads more efficient and reduce the creation of power line spikes in rural locations. Furthermore, where three phase power converters are used to replace three phase diesel generators, they may be five times cheaper to operate and don’t have the ongoing requirement of liquid fuel replacement. Load balancing techniques refers to the spread of the impact of power demands over a longer time interval so high current loads operate in staggered time delays of minutes, hours or days. Where available power is marginal, it is possible to stagger the starting of loads using automatic time delay modules or priority switching circuits, so that high current start-up events do not all try to occur at the same time. For example, it may help if an electric hot water system is temporarily deactivated while an adjacent refrigeration system is being started. Some of the more modern three phase power converter systems incorporate this type of facility within their design. 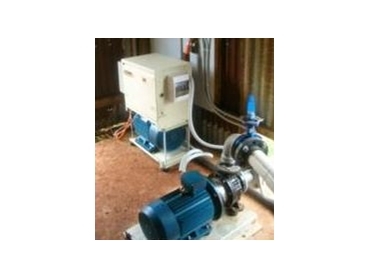 Phase Changer wish to encourage rural Australians that installing new equipment does not need to mean more energy and infrastructure. There are smart ways of getting the most out of existing infrastructure with the current surge in the demand for power.